June 19, 2018 – LUCID Vision Labs, Inc., a new designer and manufacturer of unique and innovative industrial vision cameras, first demonstrated the color version of its upcoming 5 Megapixel Phoenix polarization camera during the Computer Vision and Pattern Recognition Conference (CVPR), June 19-21, 2018 in Salt Lake City. In addition to the monochrome version of the Phoenix polarization model which has been shipping since May 2018, LUCID has now also integrated the Sony IMX250MYR polarized color sensor into its Phoenix camera family. 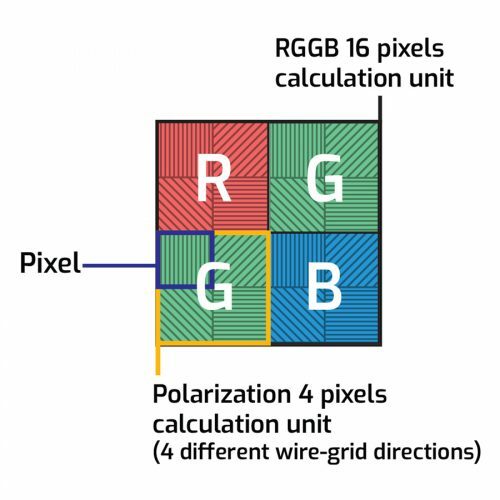 The 5 MP global shutter sensor with a pixel size of 3.45µm and frame rates of up to 24 fps is based on the popular IMX250 Sony Pregius CMOS color sensor with polarizing filters added to the pixel. 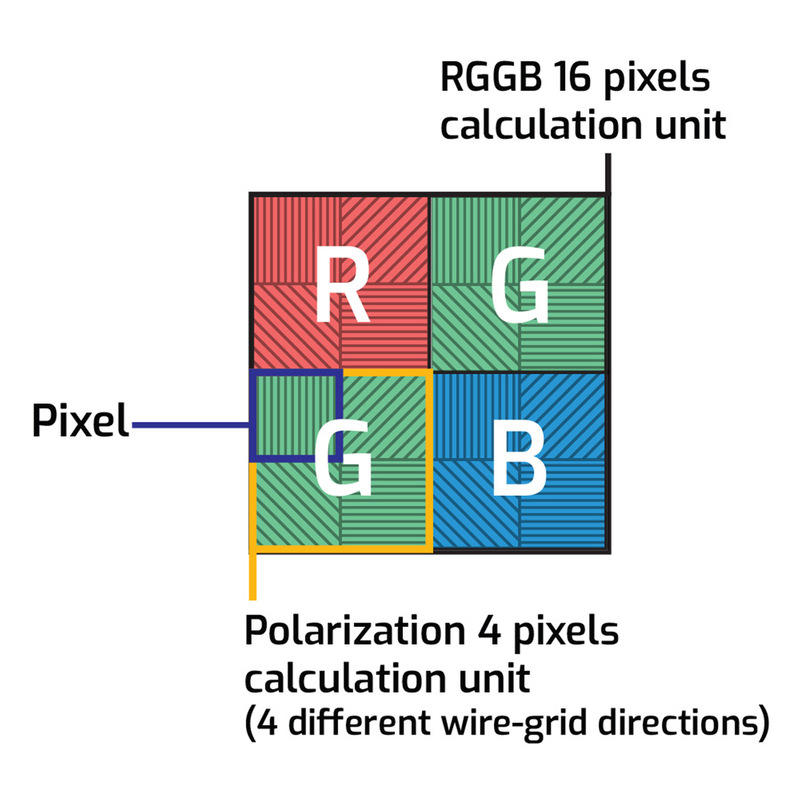 The sensor has four different directional polarizing filters (0°, 90°, 45°, and 135°) on every four pixels. The Phoenix color polarization camera is equipped with a RGGB Bayer filter in addition to the directional polarizing filter to form a 16 pixels calculation unit. The raw image data can be processed into an RGB image per polarization channel. The deinterleaving process along with the polarization data allows for polarization visualization of a colored object. The Phoenix is a micro compact camera with a versatile board design measures only 24 x 24 mm and is the world’s smallest GigE PoE camera. The Phoenix camera features NF-mount and lens options to provide an even smaller footprint, saving 40% in size compared to equivalent C-mount lenses. Early evaluation units of the Phoenix polarized color camera PHX050S-Q are targeted for Q4 2018 and mass production units will be available in Q1 2019. See a ‘live demo’ of the Phoenix polarization camera during CVPR in our booth #207 in Salt Lake City.